If you think that The Humble Pie is only about pies, then you are mistaken. The Humble Pie is all about good food. Savoury or sweet, their menu items are a result of the owners love for tasty food and cooking. The menu is still being revised, but after 8 months since my last visit, I can confirm that some new food dishes have been added. This is made possible because the folks behind The Humble Pie really take the time to listen to feedback from their customers and their kitchen team. 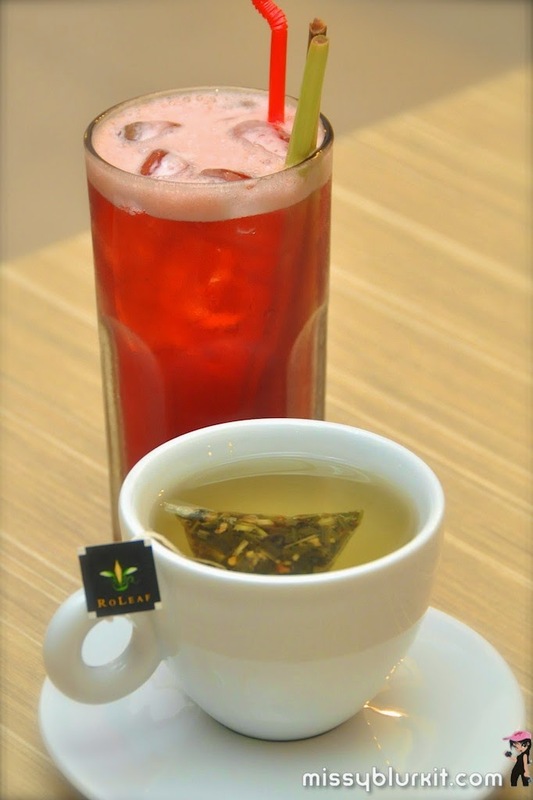 Coffee, tea or juices - you have your choice. 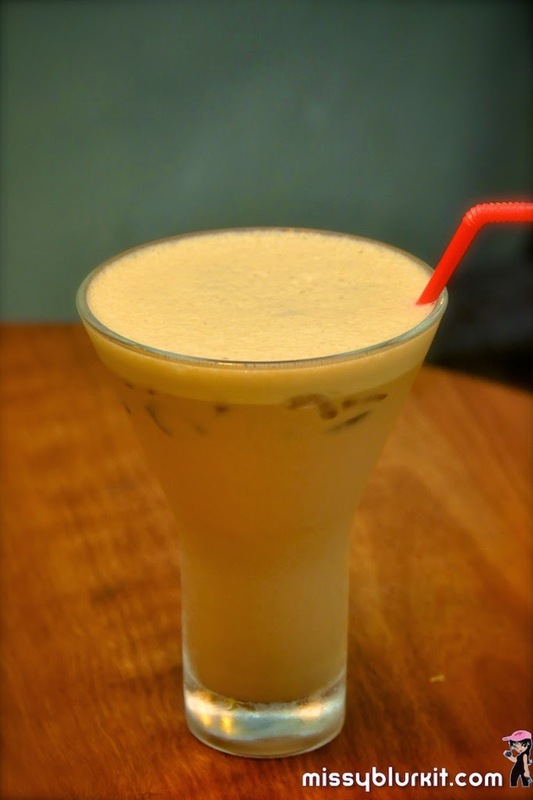 On hot Sundays, nothing beats a refreshing Lemongrass Ginger (RM7). It’s hot but the zing from the lemongrass makes it an uplifting tea that also works to whet my appetite for our dinner to come. The husbter wanted his drink cold and had a very refreshing Lemongrass Pome Berry (RM9). Coffee was on our mind too but we decided that coffee will be nice to go with dessert. 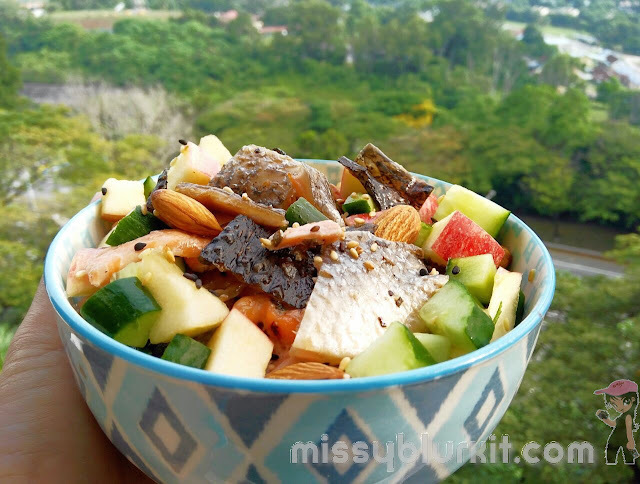 Salads here are refreshingly interesting. If you have a few friends with you, I strongly recommend ordering the salads to share. The House Special Salad (RM17) or even the Japanese Potato Salad (RM12) is seriously good as we had tasters of it in our main courses. I definitely need to return for the salads! Since we were only 2 stomachs, we opted for the Pesto Bruschetta (RM12) so I could fuel my run (after dinner and the long weekend of intense training). 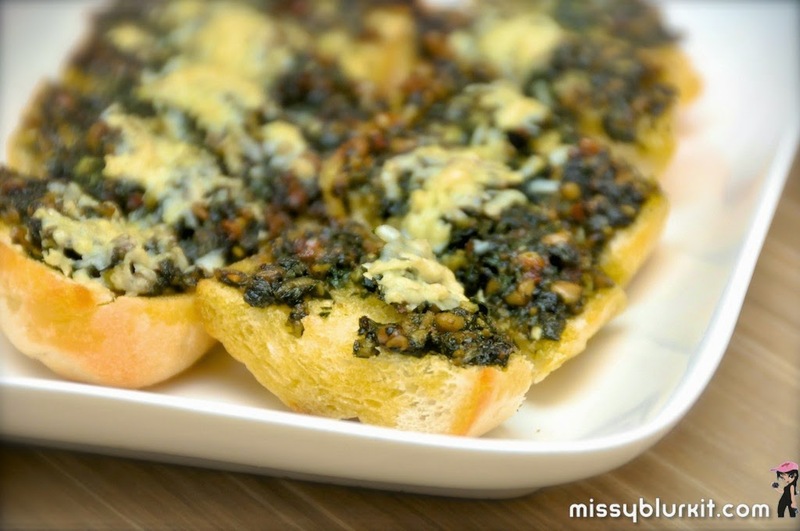 The Humble Pie makes their own blend of pesto. With a generous topping on some crisp hot bread with cheese, it’s a good snack on its own and perfect for nibbles too if you are there for something light. It’s savoury and addictive – you won’t stop on the first slice even if you are on a carb free diet… that’s how good it is! 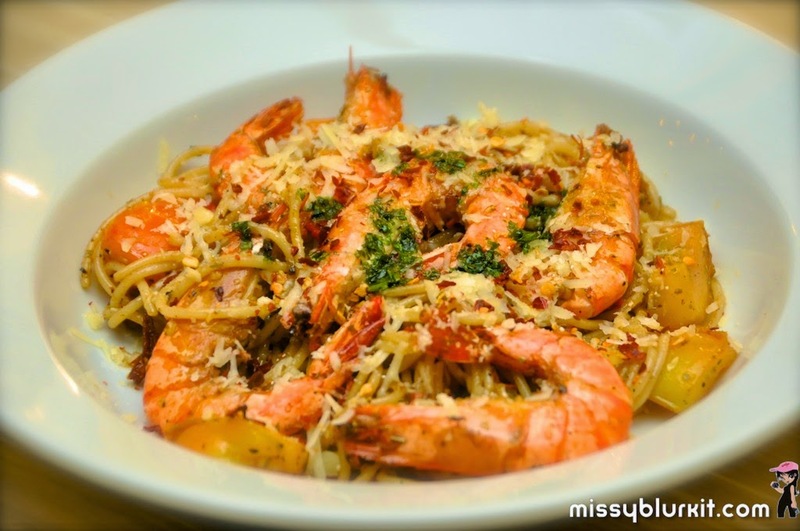 Craving carbs and because I love the ideas of spicy and aglio olio, the Spicy Prawn Aglio Olio Spaghetti (RM26) was my obvious choice. Let them know your preferred level of spiciness and you will be a happy camper. This dish came with al dente spaghetti with just the right coat of spiciness on every strand of noodle. No complaints, especially when they give huge and generous servings of prawns too. 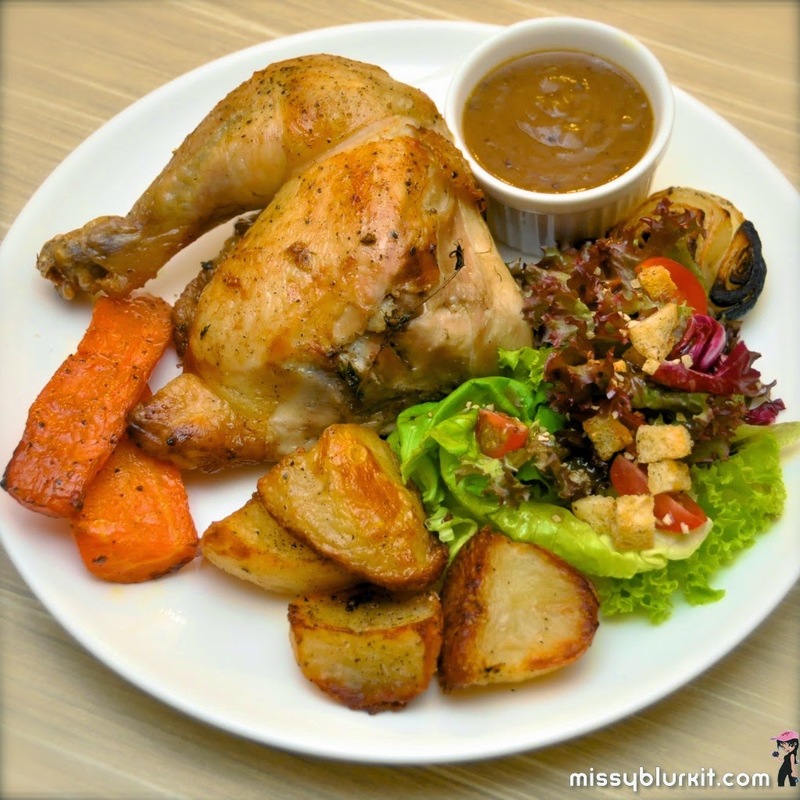 The Roast Chicken is highly recommended. Herb marinated like how we do it at home and roasted to perfection, its no surprise that we saw this on many tables that night. @RM22 for a quarter chicken, roasted potatoes, roasted carrots, roasted onions, salad and a homemade gravy, this is a complete meal for just about anyone. Very ol skool, and very homely. 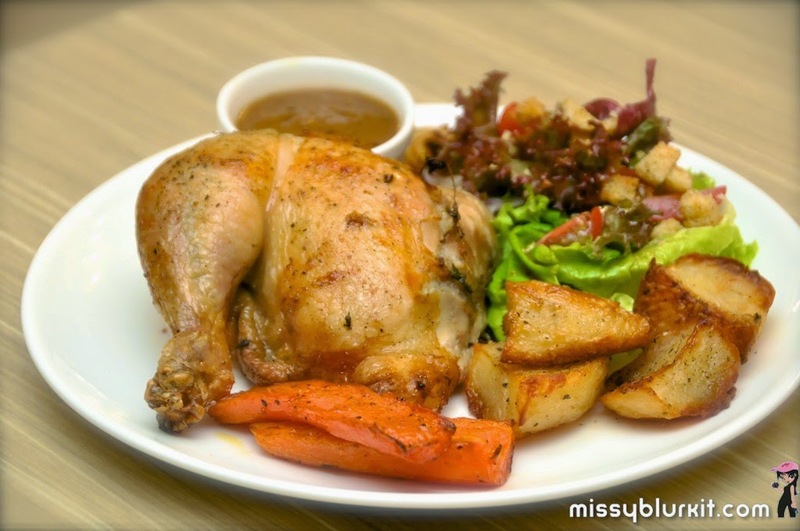 And if you are dining in a group, you can order a whole chicken for RM88. You will need to pre order this 3 hours in advance! Where’s the pie? Of course we are not missing out on the pie! A must-have classic is the Chicken Pie with a rich buttery crust. 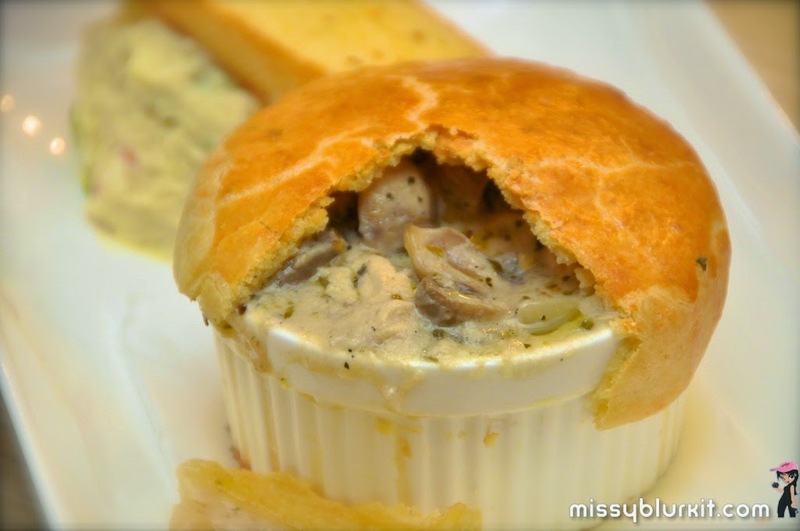 Hiding under the crust is a comforting filling of chicken and mushroom. Served with a rich mash and a lovely slice of garlic toast, this had to be the hubster’s favourite dish for the night. It was a tough trying to pry this dish from him! At a glance, you might think that the food at The Humble Pie is all healthy and proper, but say hello to Chicken Bites (RM10). 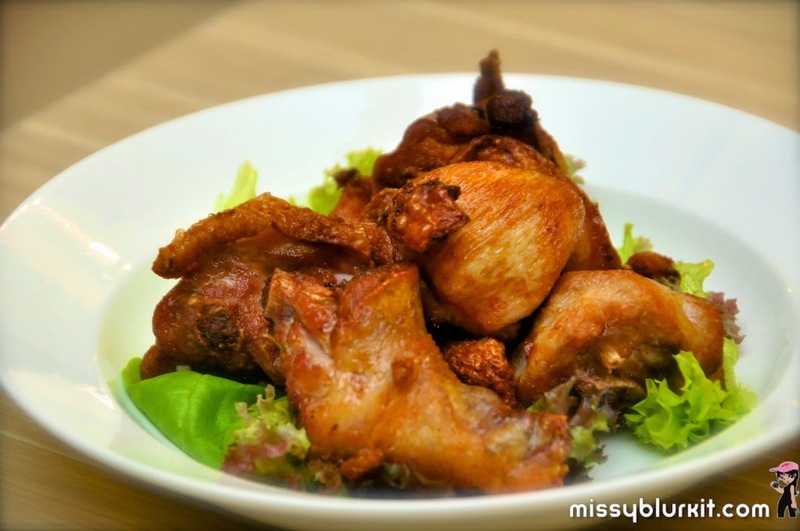 Deep fried to perfection with crispy skin and tender meat. We loved every single bit of it, even if fried chicken is not usually in my diet. Done with the savoury, we now move on to the sweets. Pies and cake – I would love to say cakes but the husbter was too stuffed. Coffee at last too, just in time to keep us from falling into a food coma. I stick to something hot. 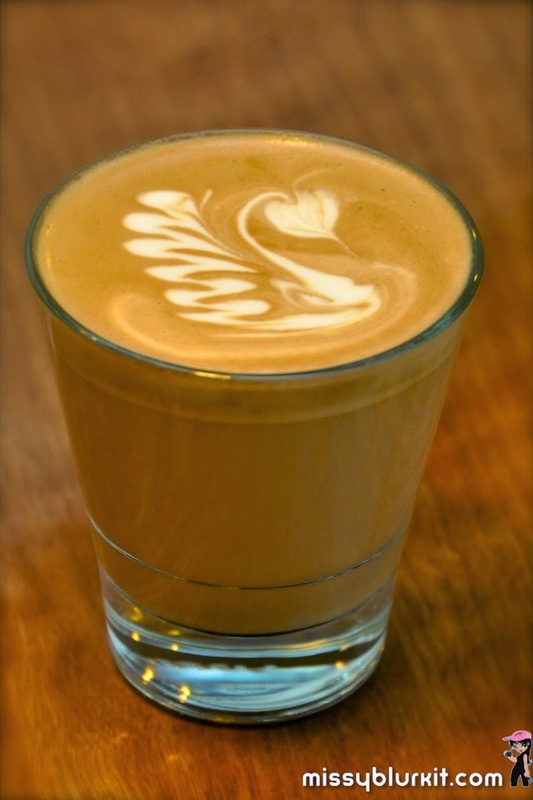 Latte it is for me with a delicate swan as well. The hubster has an iced latte shaken with a little syrup. Delicious! I was a tad bit too slow in ordering my desserts, so I missed out on the Honey Comb Coffee Crunch, dang! Well, next time perhaps. 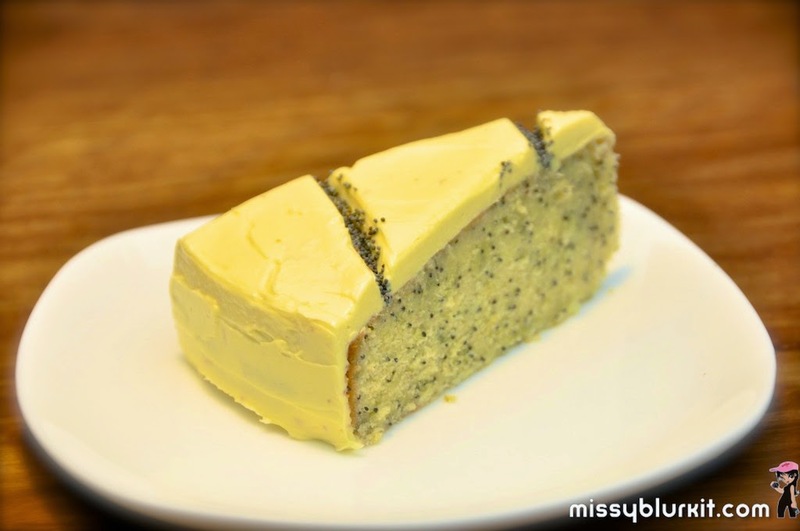 Lemon Poppy Seed cake is a must have because I love anything with poppy seed. The lemon poppy seed cake is rich, moist, creamy and not overly sweet. It's a nice balance of citrus with cheese and little bites of poppy seeds. Good with a cup of tea actually, rather than coffee. No one should miss out on the sweet pies at The Humble Pie. 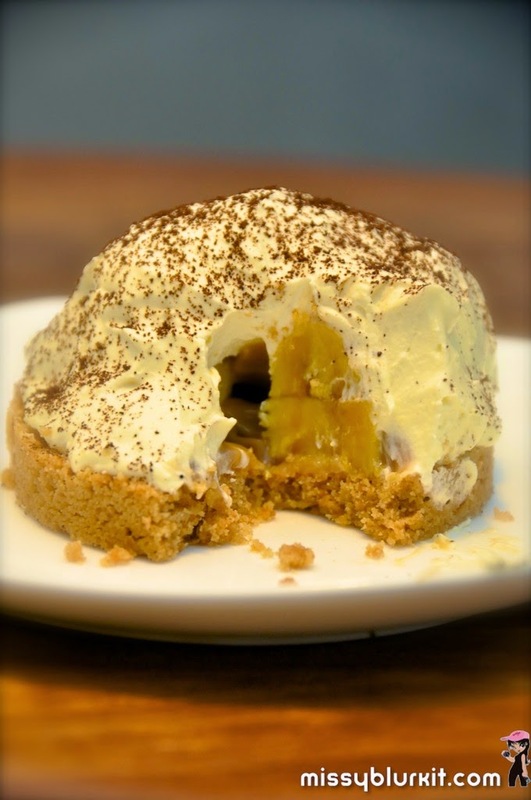 I might not be a big fan of durian but I really regret missing their famous Musang King Durian Toffee Pies. 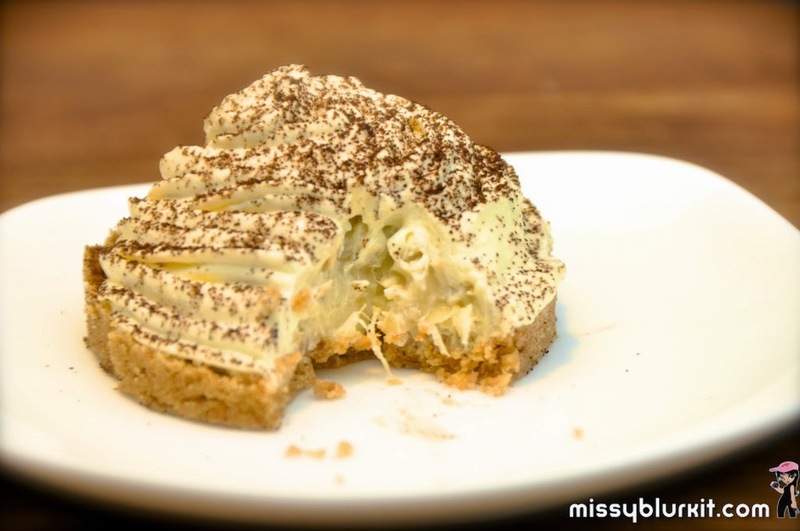 Angela has gone through lots of work and tasting sessions to arrive at the current batch of durian pie made with only fresh durian filling. This round it's a mix of a few types of durian to achieve the right consistency. Coupled with the rich crumbly base, this was just a match made in heaven. Highly recommended, even for non-durian lovers! 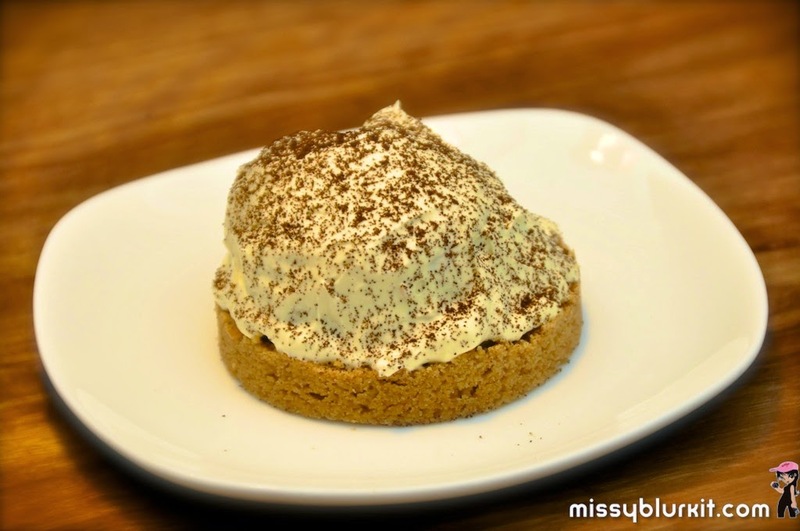 The classic Banoffee Pie (RM13) is also very delightful. Looking at it, I was telling myself that if this comes in a bigger size, it would be the perfect birthday cake for me this year. Sweet ripe bananas, toffee sauce, vanilla cream and again a delicious crumbly pastry, topped with coffee – drool worthy!